I'll be honest — I stan for JoJo. Sure, most of us knew and loved her when "Leave (Get Out)" was released back in 2004, when she was only 13, but my love for her has gone beyond all that. Admittedly, when she left the spotlight, I forgot about her for a while, but the reminder of what an incredible artist she is became more evident than ever when she released her cover of Drake's "Marvin's Room" in 2011, and then her Agápē mixtape in November 2012. Ever since, I've been obsessively following her on Instagram and Twitter, waiting impatiently for the release of her new album. That album isn't quite ready yet, but JoJo surprised fans with a new EP called #LoveJo2 on Friday, making this officially the best Christmas ever. The release of #LoveJo2 is a nice follow-up to the "tringle" — or trio of singles — she released a few months back. And while the new EP sadly only consists of four songs, one of which is a cover and another that's a remix, it's another taste of JoJo's artistic evolution and what I hope is a teaser for a full-length LP headed our way in 2016. In the meantime, we can add these tracks to our iTunes JoJo playlists (you know you have one) and get even more hype for what she has to come. Here are the #LoveJo2 tracks to listen to in order of best to worst — and let's be honest, where JoJo's involved, there's never a "worst". 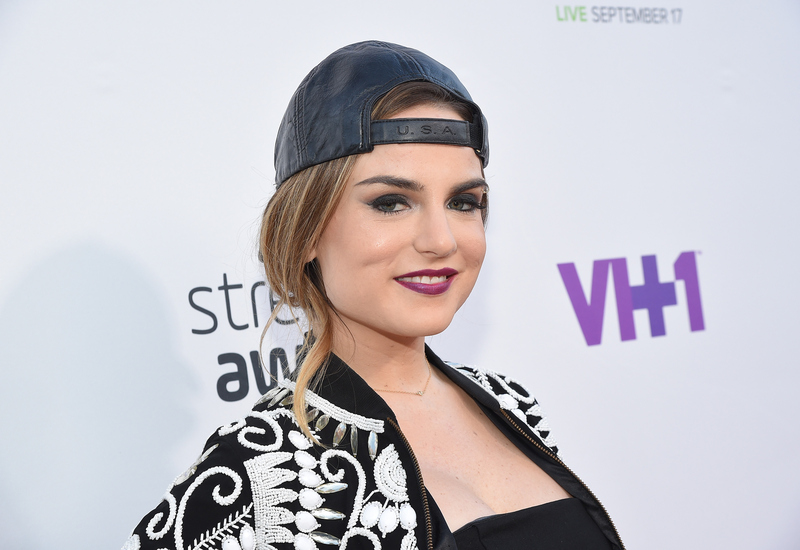 What's been great to hear in JoJo's new releases is her experimentation with dance music. While I'm obsessed with her R&B and soul tracks most of all, her powerful voice has a natural rhythm that lends itself well to dance music that still leans far enough into the pop genre to be accessible to those of us who aren't club kids. "Right On Time" is a great example of this gift at work, and is a fantastic track. Anyone who's loved JoJo for a while will recognize "Thinkin Out Loud" from Agápē, as it's been a bit of an obsession with long-time fans. Since the original track was an off-the-cuff recording done acoustically with just JoJo's voice over piano and was only a little over a minute long, we've all been looking for a full version for years. Thankfully, we finally got one, and it's well worth the wait. "Thinkin Out Loud" lets JoJo's voice pretty much surf the notes in the most beautiful way, and it's pretty heavenly. "Back2Life" is a Soul II Soul cover, and another foray into dance music. It's a solid cover for sure, and one that will make you wish you were at a club rave in the middle of summer. If that's your jam, you'll love this. If not, you'll probably like it a little less, but still love it because it's JoJo. "When Love Hurts (Real Love Remix)"
This song is only last because it's a song we already know, and certainly not because it's not amazing (because reminder, it is). "When Love Hurts" was a highlight of the tringle JoJo released earlier this year, and remixes are always fun. This one is a solid one, as well, so it's well worth a listen (or 10). Basically, JoJo remains a complete and total queen and if I don't get a full album in 2016 from her, I'll scream. Or, you know, just listen to Agápē for the 900th time.